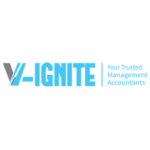 V-Ignite’s management accounting solution is driven by the need of an increasing number of small and medium-sized enterprises whose main focus is to augment the dexterity of their business while cutting down on costs. At V-Ignite, we know what it is like to be in your shoes and the everyday challenges your business faces and that’s exactly why we provide the clarity you need to make better financial decisions. With a fresher approach to traditional accounting, we pride ourselves on our progressive attitude toward management accountancy that ensures your financial decisions are flawlessly aligned with your vision for success while propelling your business toward growth. 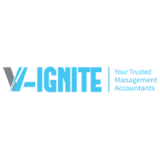 At V-Ignite, we take the time to listen to our clients, while providing professional advice and experienced direction on company finances and business strategies. We assist you to better understand and analyze your business performance.